Minimum quantity for "Gift Bag Christmas with Glitter Jumbo 12 PC" is 1. 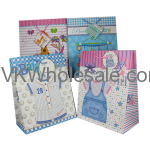 Good quality Christmas gift bags - Design may vary compared to product pictures. 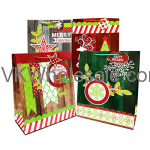 These Christmas gift bags are perfect for holiday season. 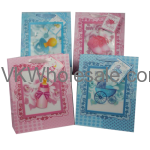 Approximately : 4" x18" x 13"
Minimum quantity for "Christmas Gift Bags Large 12 PC" is 1.